what do you do when you start to lose intrest in ponies? 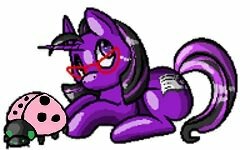 I am really losing interest in my ponies all of them. I know better then to sale off my collection. but what show I do I don't even want to look at them but storage is so limited in my room. Maybe you just need a change of scenery, why not box some Ponies up to make room for different items? Sometimes rotating decorative items is fun. Interest fluctuates, it's totally normal! If you end up boxing them away or finding new storage for them (like an attic or spare room) you can explore other hobbies but rest easy knowing they'll still be there when you come back. 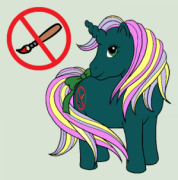 I agree with @evilbunnyfoofoo put your ponies away for awhile and display other things. Then when your ready for ponies to be back in front and Center you can pull them out and greet your old friends. I agree with foofoo. We all experience burn-out and disinterest. For a while I decided I was done with my action figs, because there was no place in my house for them (my mom was living with me and she literally had so much junk she was pushing me out into the yard). So I got rid of a bunch, trying to make room for mom's stuff in MY house. I really regret it to this day. I loved those toys. I was just at my wits end with my mom's hoard. Don't do anything you'll be sorry for later. Replacing those items will not come cheap. I like my G4s and G3s. However Im not focusing on them right now I mainly interested in my G1 ponies. I love all my gens but I can see how people can get burnt out or go into phases. I dont want to get rid of all my ponies because I did that as a teen and I regretted it so they say here. bins of ponies that will reach to the sky. Get an opaque Rubbermaid, or other brand, tote, or several and just store them a while. They generally stay dry and safe in those with minimal care in packaging. You can stack the totes, use them as surface space, or hide them away in a closet or corner. Yes it is time to put them up for a while. I have not really done a lot with my ponies since the summer. Everyone has those moments. Bun Bun is right. Yes, make sure not to get the transparent ones. If the ponies can see out, they'll get really resentful and plot their revenge! You need to get black ones, so they'll fall asleep like Sleeping Beauty and not know how long they've been imprisoned! Bun Bun is right.... ah, how seldom do I hear THAT! Evelyn is right there with both of you! Lucky for me, she doesn't mind sharing. I got rid of my G3s (some sold, some given away) and now regret it. I don't think I will replace them, but it makes me sad having fewer ponies! I haven't ever lost interest in my ponies. However, I had a lengthy separation for years when the majority of my ponies were in storage in Toronto. I stopped actively collecting during this time, but the love was still there. Maybe part of the reason, was that I was separated from them. I agree with the others, maybe crate them for a while until you start to miss them.